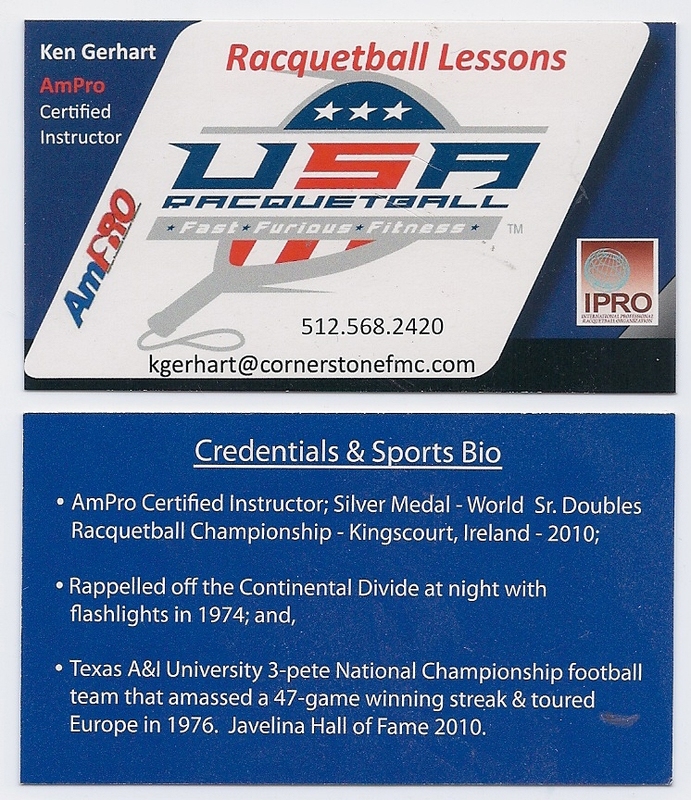 Cornerstone Sports Management Company, CSportsManCo, was founded in 2008 by Ken Gerhart with the express purpose of providing world-class racquetball instruction, officiating and tournament management services. Equipment distribution was added a few years later through a local Eketelon distributor where he sold several top of the line racquets in a short period of time, but efforts are now underway to secure a direct distributorship from the company. Ken was introduced in 1974 to one-wall paddle ball, the precursor to racquetball, by Coach Burr Davis as an off-season high school football agility builder. 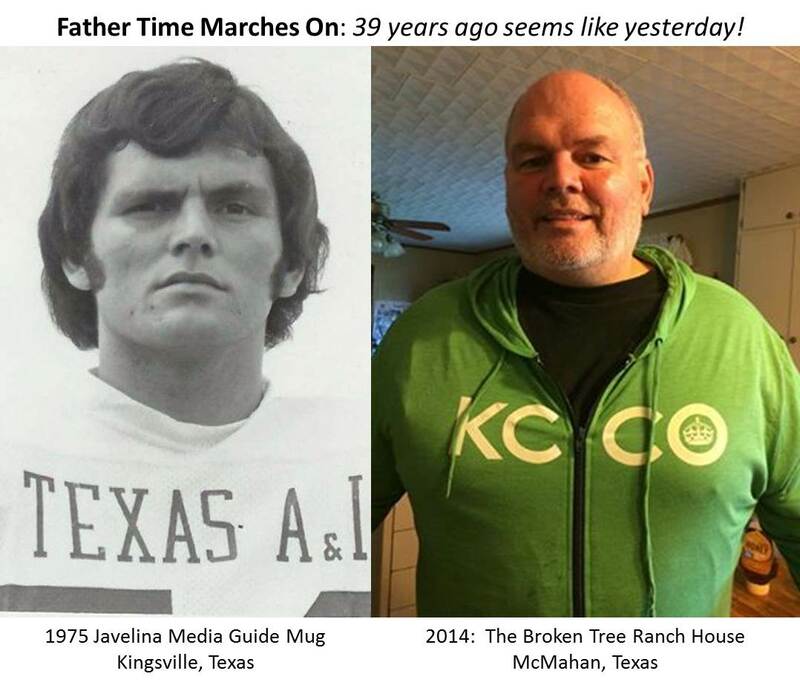 He pursued the sport as indoor racquetball in college when Coach Freddy Jonas challenged him to a handball, then racquetball match on the Kingsville campus at Texas A&I University. From that day forward, he was hooked on the life-time sport of racquetball. In grad school at Texas Tech University, he further honed his skills as a collegiate player. At 6' 5" and +/- 300 lbs, Ken is acknowledged as the one of the largest RB competitors on the world stage. What he gives up in quickness that smaller players naturally bring to the court, he compensates for with one word: wingspan. Simple physics indicate that a reach is faster than a step as long as one is not a step behind. As Dr. Stephen Trammell, aka The Traminator, says, "when Ken dives for the ball, the experience is akin to being in an earthquake: the building rumbles and your footing is unsure for a split second after the shock." Such is life between the walls in Ken's RB world. Ken's first racquet was an Ektelon, the Mercedes of racquetball equipment. Over the years, his brand loyalty to Ektelon was a simple decision: to achieve the best performance one must use the best equipment! This philosophy has served him well through the years and Ektelon will remain his equipment of choice as long as the company is in business. Competitor equipment comes and goes, but only Ektelon allows him to "play with fire!" While he plays with and demos many different racquets during the course of his business, his current racquet of choice it the Copper XO2. Even though this racquet is not the latest on the market, its combination of balance and power continue to serve him well on the court, whether competing or teaching. As indicated in the side bar below, one of the highlights of Ken's RB career was an invitation to play in the World Senior Doubles RB Championship in Kingscourt, Ireland in 2010. With 70 competitors from five countries in the tournament, he was fortunate enough to bring home a silver medal, but more important, he brought home a Gold Medal life-partner in his wife, the incomparabl e Barbara Turner-Gerhart. The Kingscourt championship accommodations were the Cabra Castle about a mile or so from the tiny town. As such, Ken and Barbara were married in a fairy tale wedding and spent their first four days of marriage in the honeymoon suite at the Cabra Castle while the tournament unfolded, then five more days touring Europe to cap off their whirlwind adventure. Longhorn Open Tournament, January 2016. There were many memorable moments in the Kingscourt tournament, but two are indelibly etched in his mind's eye. One was meeting the legendary Reuben Gonzales, who was as gracious as he could be and the other was officiating a match in which a team was down 10-0 when they gained serve. The server then fired 11 aces in a row to win the math 11-10. His elderly Irish sister was sitting in the stands a few seats from me and kept saying, "That's my bruder, that's my bruder!" 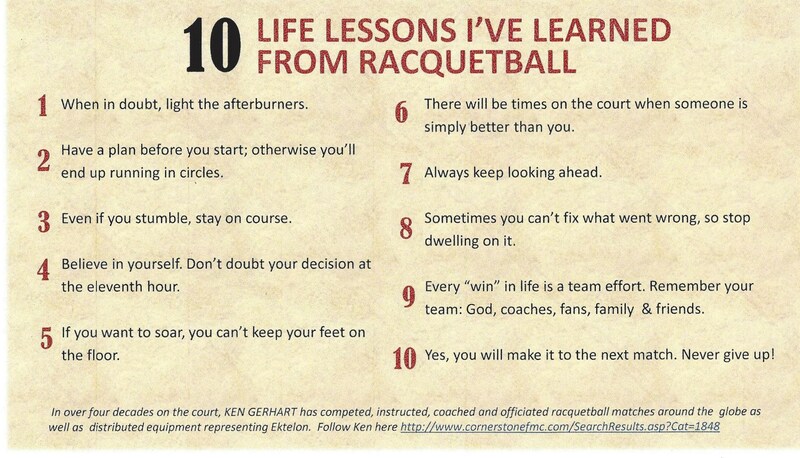 Now, that's some racquetball folks! For more memorable RB moments, please click here to see our photo gallery.